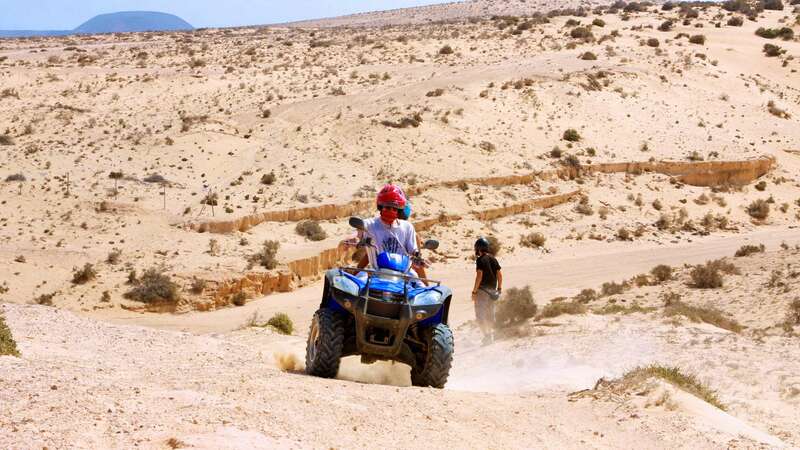 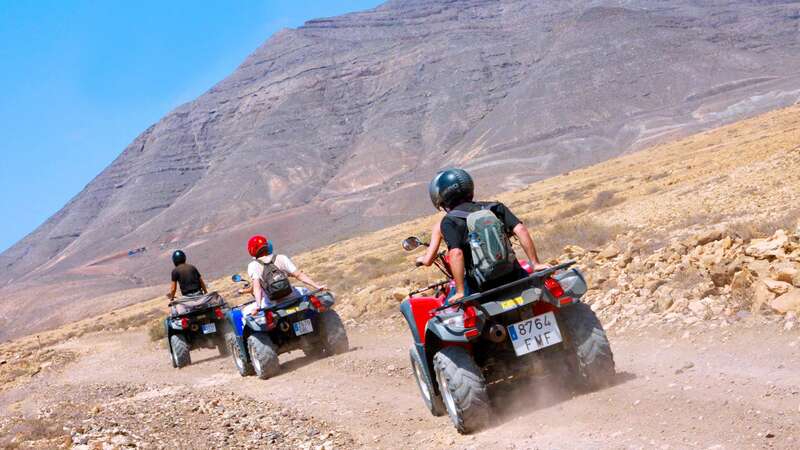 Leave for a day the relaxing atmosphere of your villa to unleash your adventurous spirit: Drive a Quad or a Buggy while discovering the origin of the oldest of the Canary Islands. 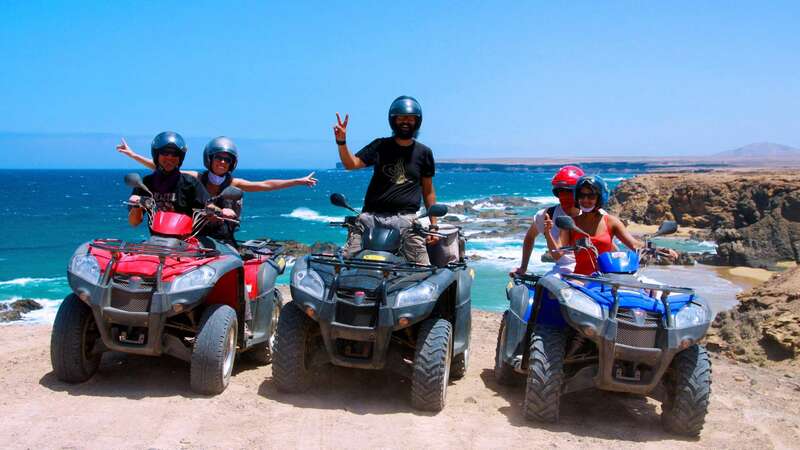 From Bahiazul Villas & Club, we will travel to the training and repair center of the Quads, starting point of our tour. 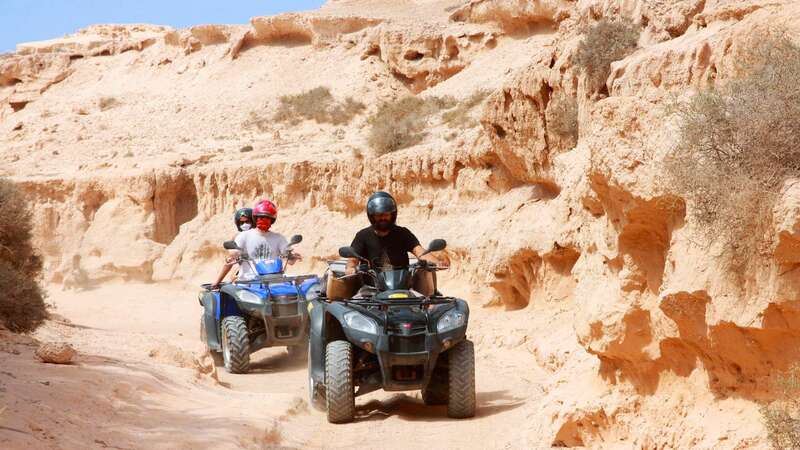 Here we will give you some basic lessons on how to handle your vehicle (Quad o Buggy), as well as the security measures that have to be followed. 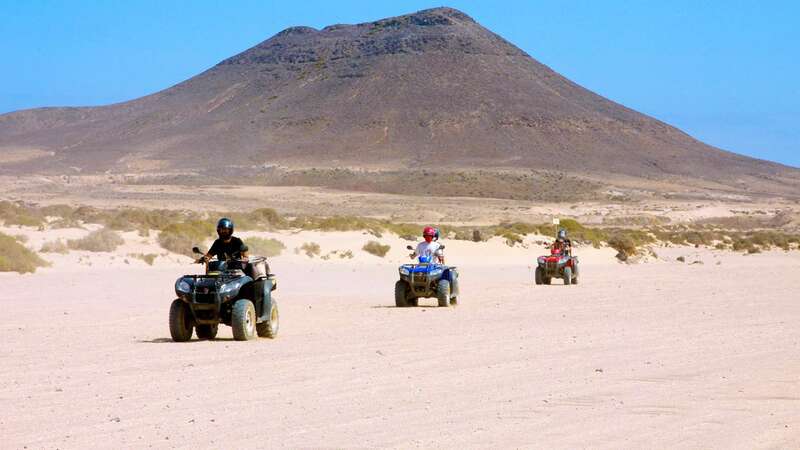 Once there we will depart to the north and continue our group route through the interior of Fuerteventura. 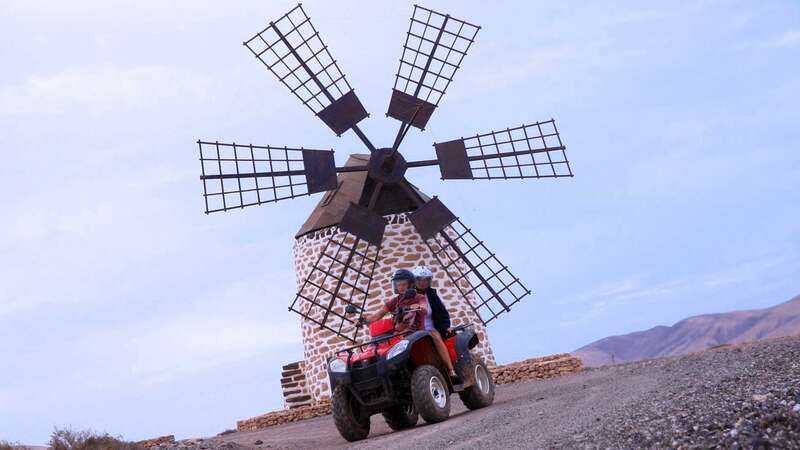 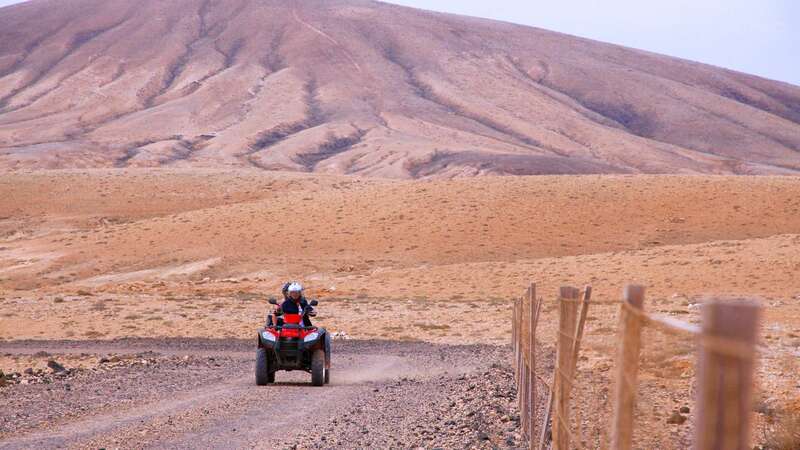 Feel like a real rally driver traveling through this arid land with the option to enjoy a wonderful sunset or take advantage of the morning to breathe the fresh air through the splendid landscapes of the north of the island. 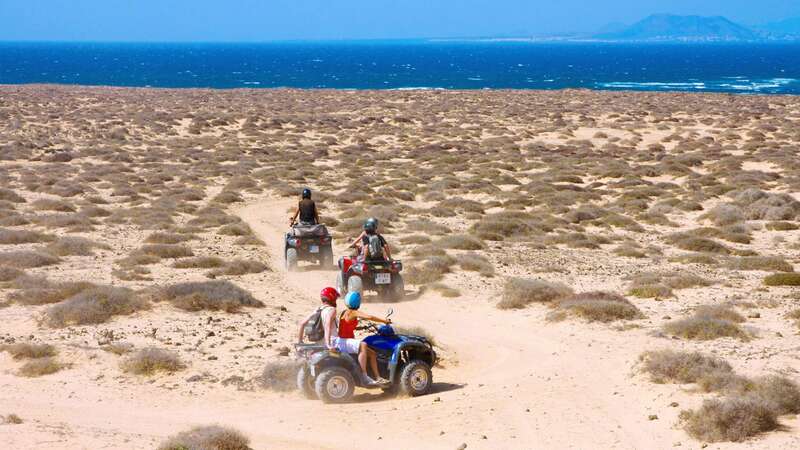 The magnificent landscapes of Fuerteventura.